I just got a new fancy router, I went for the top of the line..because well I like gadgets and shiny things haha – maybe I’ll get a dual band wifi phone next? Not that it would make any difference really..as my Internet connection is only 10MB – but hey, why not right? 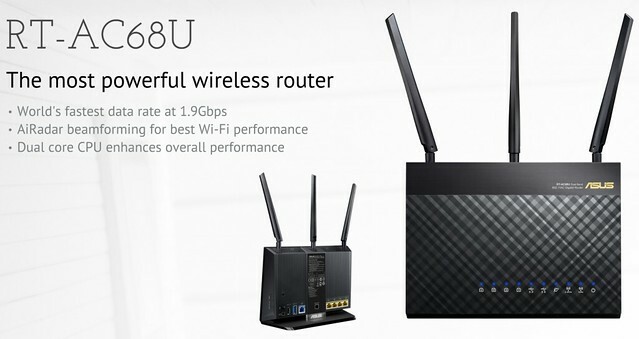 After reading lots of reviews (and from past research) it was between the previous series N66U and the new generation of 802.11ac dual band routers like the 66U or 68U. In the end I just went for the top boss – the Asus RT-AC68U. 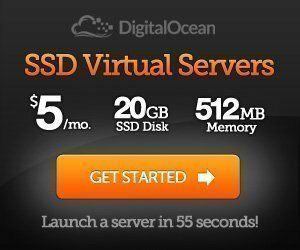 It was great, super easy to set up, has the Unifi Hypp.tv VLAN tags dialed in with a click of a button, fast and what? Not so stable. Yah wifi was great, Internet was speedy – but the damn thing kept rebooting itself. I couldn’t even get it to 24 hours uptime, sometimes every 2-4 hours, sometimes after 8-12 hours everything would just drop, the Hypp.TV would hang, wifi connections would be lost, and the Internet would be gone – just for a few seconds, and then pop it would come back. It wasn’t hugely disruptive, but it was rather annoying, especially for such a high end router. I’m not sure what firmware version it came with in the box as during installation it prompted me to update and I did, I ended up with the latest firmware (as of writing this post) version 3.0.0.4.374.4561. Frequent, inconsistent reboots on their AC68U with the latest firmware. Many people downgraded to a previous firmware version like 3.0.0.4.374_4422 – and the issue went away, which did make me feel better as it indicates it’s not a hardware issue, but a firmware issue. As for me, after looking through all the options (stock downgrade vs dd-wrt vs tomato vs asuswrt-merlin) I went for Merlin in the end, built around the stock ROM it seemed like the most sensible option (as with most things, I favour stability and speed over features, and this is what this ROM aims for). Since installed the latest Merlin build, I haven’t had a reboot at all. Great stuff! I’ll keep an eye on the official firmware updates, but honsetly I’m happy with this for now and it does support all the fancy stuff the router has anyway (Media stuff, DNLA, dual band wifi, guest networks, USB3 support etc). I had the same restart-problem and I also downgraded to 4422. Hope Asus will release asap a patch. Yah I hope so too, it’s a great router so far other than the rebooting. Hi, can you please indicate which version os Merlin you are using. Because I triex RT-AC68U_3.0.0.4_374.40_beta3 and e perienced the same reboot issue. I’m actually using the latest stable – 3.0.0.4.374.39 (RT-AC68U_3.0.0.4_374.39_0) – as it’s prior to the reboot issue. Merlin did recommend I used RT-AC68U_3.0.0.4_374.40_alpha4 which should be secure and without the bug. @saber, if you read the changelog README-merlin.txt on the merlin download site you will see that he mentions the reboot problem exists in the latest merlin beta also as it is based on Asus 3.0.0.4.374_4561 which has the bug.